The Special Needs Ministry supports individuals with disabilities. A disability is the result of an impairment that may be emotional, cognitive, physical, mental or sensory or a combination of these. It may begin at birth or occur during a person’s lifetime. It may be permanent or temporary. Because of this, any of us may be considered disabled at some point in our lifetime. The severity of the disability often determines the level of independence a person has with society. Many need the support of others to be successful in life. The support means the difference between being able to participate in every day events, like attending school, attending church, or shopping for groceries. The alternative is to remain isolated and alone. At Duck Church we have made adaptations to our building to make it disability friendly. We have provided personal aides so that individuals with disabilities can attend Sunday School and church. We participate in events like Special Olympics, Kite Day and have provided resources for families on vacation that need adaptive equipment. 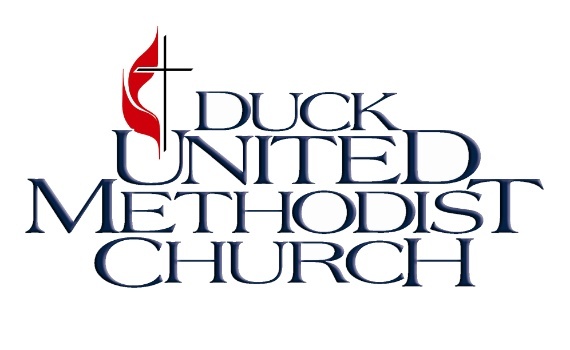 All are welcome at Duck United Methodist Church!